Natalie Almond would like to help you through your healing process; whether it be physical, emotional or mental and most likely a combination of the three. Coming from a healing approach to yoga due to her own dis-ease, Natalie would like to help you; relax, open and heal. She will help you discover a more positive state of mind, emotional balance and physical ease. 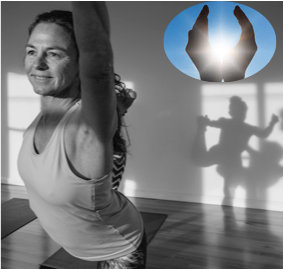 With 27 years experience in yoga and 25 years experience in massage and energy work Natalie will help you feel and work with your energy system, teaching you how to re-program your beliefs. Private yoga sessions are tailored to your needs and abilities, always ending with a guided meditation for you to record and take home with you. Massage to drain the lymphatic system, ease the digestive system and release pinched nerves, helping to gain mobility and ease from pain. Natalie also works with your body's energy system through her intuitive nature, giving you just what your body asked for.